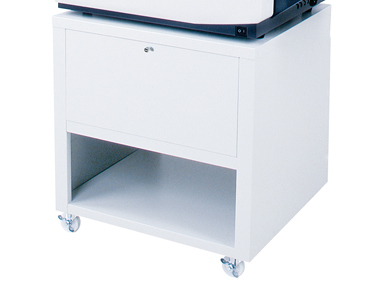 The Standard Horizon PF-P330 Paper Folder combines the simplicity of push-button set up with reliable, mark-free suction feeding in a table-top unit. The PF-P330 is a great choice for folding a wide variety of stocks quickly, easily, and reliably. Versatile folding: It’s ease of use and quiet operation make it a must for any office or print environment that is folding a variety of stocks that are printed both by traditional offset and digital printers. Powerful, simple design: The patented suction-feed system adds to its strength as a workhorse that is simple to operate even with lightweight and statically charged sheets.